We create dashboards with our proven development and implementation process. From business user requirement assessment to dashboard implementation in Tableau, Qlik or MS Power BI, we’ve got you covered. In our past projects, we have identified three major types of dashboards, which can serve the various requests of our clients the best. 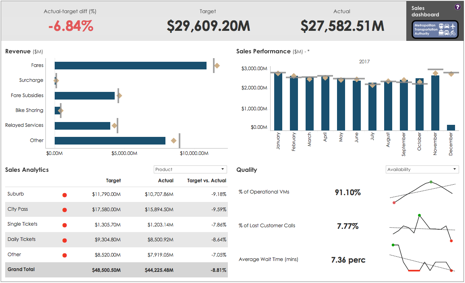 Our strategic dashboards give clients a top-level, horizontal overview of how their companies and the departments responsible for the core activities perform. These dashboards contain all those KPIs that CEOs, CFOs, and other top management members have named vital in their decision-making processes in the dashboard projects that we have conducted at enterprises with sizes of USD 400m to 4bn in revenue. Our tactical dashboards contain high to mid-level aggregations of data and present a vertical overview of the performance of a given department. This view of a given data silo provides a high-level overview and allows drill-downs to lower levels of data aggregation too, enabling the people directly responsible for the department to have a full picture of its operations. 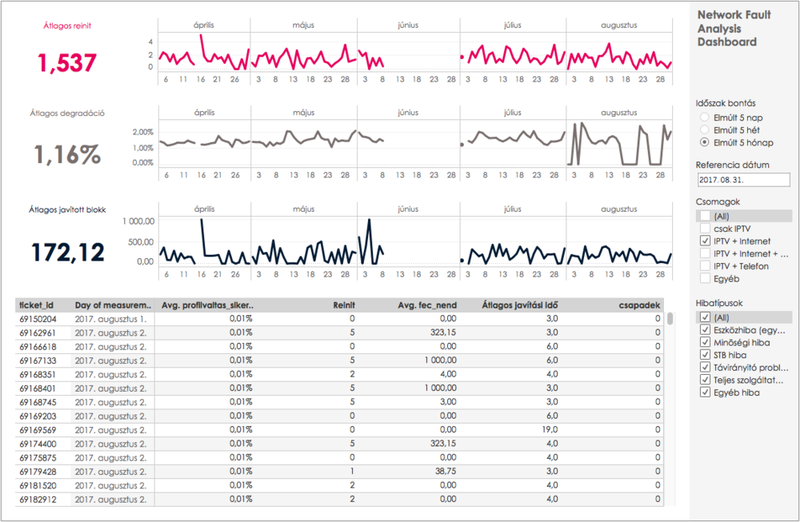 Our operational dashboards provide a mid- and low-level of data aggregation. This view of a data present at a given department, a smaller subdivision, or a project, provides an interface, which allows end-users to access and examine data at their lowest level of aggregation.